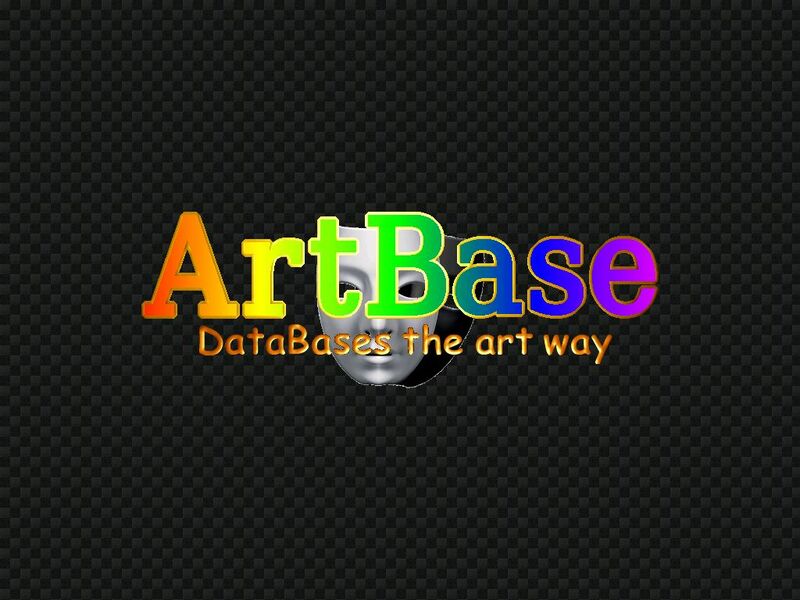 My name is Joerg Renkert,and I am developing a tool called ArtBase. should be used. So things like "TurboCalc", "Datamat" and other programs were named. Every user uses other programs for this task. Mostly every user uses a program, which can export his table using the CSV-format. Mostly all discussers agreed, that Databases or Table-Sheets are simply to dry for this task. which can display your (existing) databases in an absolutely free configurable, stylish way: ArtBase. Now, after two years of development, ArtBase is mostly finished. ArtBase shall be published in different languages, and so, I am looking for translators for it. English translation is mostly done by an external translator. The Amigaguide manual is about 60kilobytes in size. The catalogfile has roundabout 300 lines. The installationscript has about 15 lines. based on the english translation (or the german one, if wanted). ArtBase will be published as donationware. Everyone might use it for free, but is asked to pay some money for my work (roundabout 2000 hours). inside a DVD-Cover including a printed manual (in the desired language) on high quality paper. will get the above mentioned CD as exchange. As I want (and hope) to publish ArtBase until the end of 2014, theres no time to loose. Publishing a beta is not a very good idea in my opinion. There are still some bugs, and I think, ArtBase is to complex, that any normal user would play around withit, while getting bugs from time to time. But if anybote would be interested in translating, betatesting or creating graphics for ArtBase (yes, I still need some GFX), I would send him an actual beta, of course. 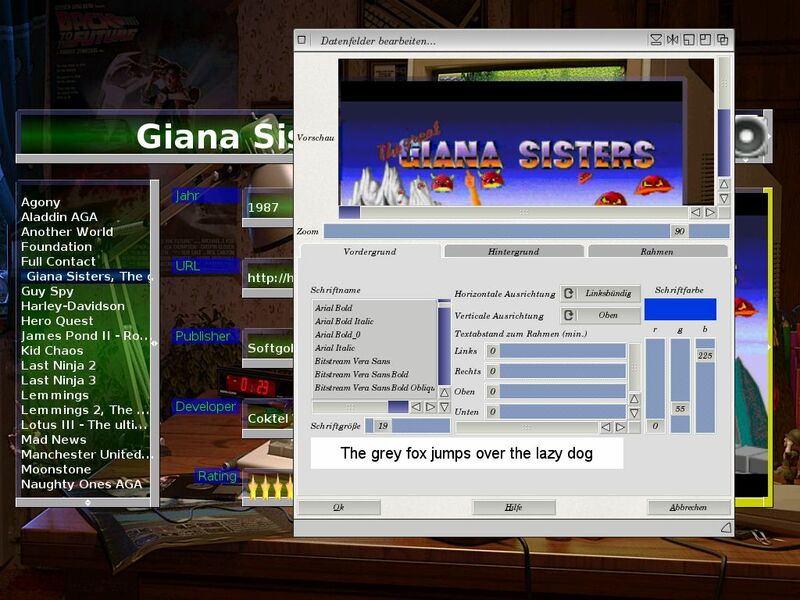 ArtBase is developed on AmigaOS4.1. 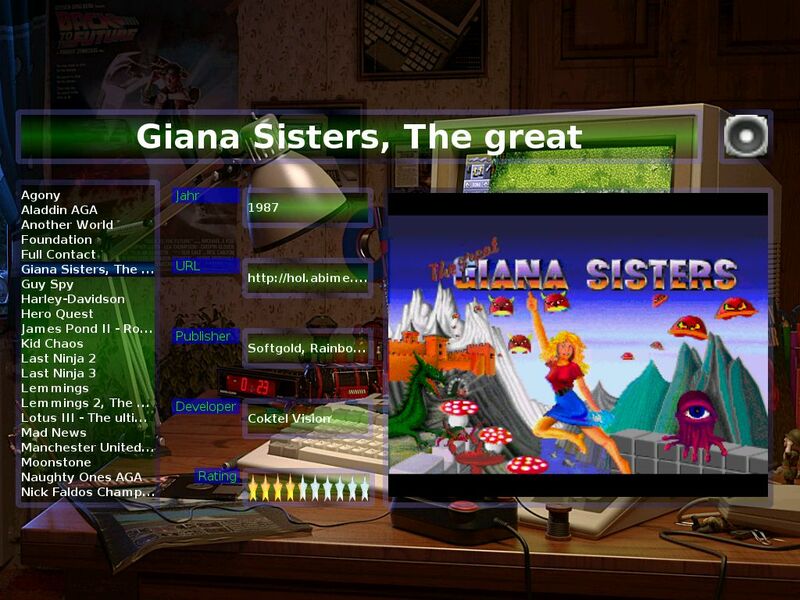 It was tested on MorphOS and WinUAE. How can I upload Screenshots here? I havent hosted screenshots anywhere so need to upload them here directly. ArtBase imports tables in CSV-Format. As seperators "," ";" "|" and TAB may be used. Even tablefields with more lines in a cell will be imported correctly. ArtBase will probably be available in german, english, italian, french, swedish, polish and norweign language... Maybe more. The third one shows the configuration-mode of ArtBase including one (of many) configuration-menus (MUI). However the more bigger it is, more complex will be to translate .. even because it's always difficult to translate a thing without having any local program where to test it ! The main work in translating ArtBase is the documention, which is right huge imho (60-70 kb). It is in the Multiview format,so everyone can easy test it! Translating in teams is also not the very best idea in my opinion. 1. The writing style of different persons is, ofcourse, different too. This does not look very proffessional. I have uploaded all files concerning ArtBase to a webpage. If there is someone, who organises translation then he should simply contact me per email. He will be the one, who stands in email-contact with me and he should hold on overview over the translation (sharing, testing, correcting...). And of course he will get the URL from the ArtBase-development-Page and may share it with other translaters. And he will get the promised CD. Of course: If there is someone, who thinks, he can do the task alone (as the english, french, swedish and polish translators do) then he can contact me, too! !